As much as I hate to admit this, I often zoom in on the negative aspects of things. I get some good news… and I dwell on the one little thing that could go wrong. I get some bad news… and, well, it’s Negativity City. So, in an effort to begin to break that cycle, today I’m discussing some news and events in my life, beginning with the “bad” news (none of these things are truly bad. I’m just a whiner) and then ending with the good about each thing, so that the good will be my focus. The Bad News: There’s a pretty good chance that some of my coworkers, students, their parents, etc., are going to find out that I have a blog. And that’s weird for me, because I try to keep a line (albeit blurry) between “Mrs. S” and “Cassie,” and this blog is definitely on the “Cassie” side of the line. The Good News: That’s because I’m going to write for Discover Northeast Colorado, a local website that covers events around this part of the state. That means more writing, more publicity, more doing something I love and want to pursue. And that’s a very good thing, both for me to do and for my students to see. The Good News: That day, I didn’t have to be anywhere until 8:45. That’s an hour and forty-five minutes later than I usually have to be somewhere. I spent it reading blogs and drinking coffee, and it was glorious. 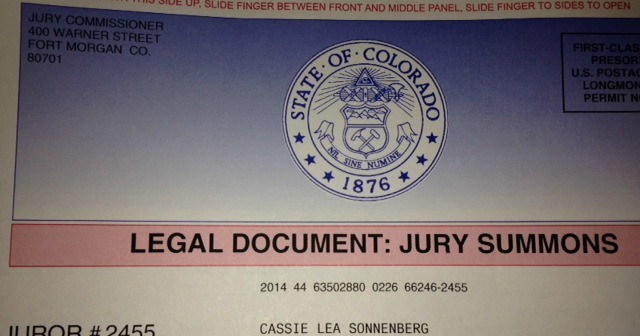 The Bad News: That same jury duty day, on my way home for lunch, I got a speeding ticket. A big one. Because I’m an idiot and forgot that a certain section of a road I drive every single day (but never during school hours, obviously) is a school zone when the sign’s lights are flashing. The lights were flashing. The Good News: One, I can afford to pay it. I mean, it hurts, but it’s not like I have to skip dinner for a week. And two, I will never, ever make that mistake again. The Bad News: I really kinda wanted to run Monument Marathon in the fall. But now I can’t. The Good News: I can’t because I’ll be the sponsor of Student Council next year (Homecoming is the same weekend as the race, and Homecoming is Student Council’s thing). As the STUCO adviser, I’ll get to work with some great kids and help them to discover how to lead and who they can be as leaders. And that’s pretty exciting. Plus, I get to do this marathon instead, and I’m super excited for it. So as you can see, there is plenty of positivity that I can focus on. And really, the fact that these minor issues are the “bad” in my life is pretty positive in itself. 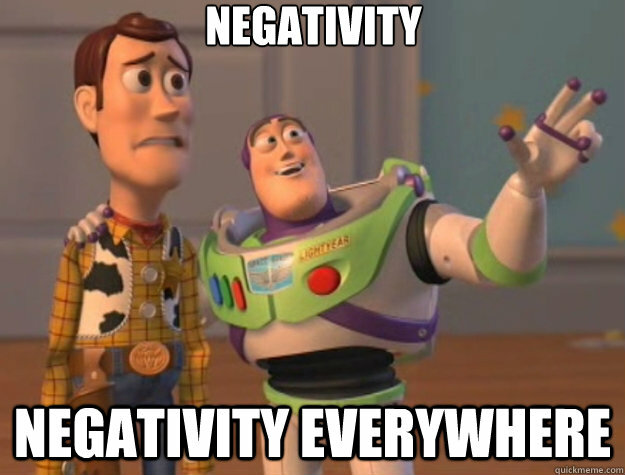 So I need to spend more time in Positivity City and send the negativity packing! Do you tend to dwell on the negative, too, or am I the only one? What are your tricks for staying positive? Way to go with all the good news! The bad news is all minor. I mean, look at all the great opportunities. And I bet you weren’t even called for duty once there,were you? My co-worker just had it yesterday and came in to work today with the story of her day off of work. I would WELCOME that chance. I’ve never been called for it before. And I’m dying here: what is this marathon? the link did not work for me! Weird, I don’t know why it didn’t work. I fixed it… hopefully. Anyway, it’s the Colorado Fall Classic, the new one that goes from Estes to Loveland. Should be fast and gorgeous! I tend to amplify the bad news, lol. I just can’t help it…..I’m working on that though. I think that’s exciting that you will be doing the writing! I’m also always nervous my coworkers, staff and students will discover my blog! :0 lol. I’m glad I’m not the only one! I feel like it’s a silly thing to be nervous about, so it’s nice to know you feel the same way. Congratulations on the new writing opportunity! That is going to be fun! Your students may find out, but hopefully nothing too insane happens. Thanks! It shouldn’t be too bad… it’s not like I publish anything inappropriate. It’s always good to see the positive in things! Whenever something bad financially happens, I always remind myself that thank goodness in reality I can afford it without going hungry or cold. Yes, me too. I know there are a lot of people who are not that lucky. Congrats on your writing opportunity! That is so exciting! From 2011-2013, I felt like I was always in a negative state. I decided to become more positive and in 2013 I really felt like myself again. I find positive quotes and just look at them all the time. I also do what you do. If something is bad, I always think of something positive about the situation. When I am in a really bad mood, I think of 3 things that I am thankful and it helps me turn my day around! That’s a great idea… and so simple! The good news is, you were able to find a HUGE positive in all of these negative events (which is great). Even though you may see yourself as one that focuses more on the negative, I see quite the opposite! You seem like a realist and someone who recognizes both ends of the spectrum (which is healthy). 🙂 I completely understand your feeling about coworkers, students, parents finding out about your blog. My blog is “me” outside of who I am as a professional and if my students or coworkers found out, I don’t know how I would react! I love this approach to looking at the good in the middle of all of the “bad”. One of my favorite phrases is… Things could always be worse. It couldn’t be more true. Yes, always! I’m pretty lucky that the “bad” in my life is not actually bad at all!